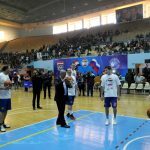 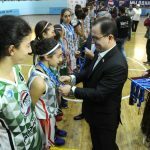 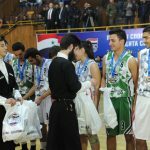 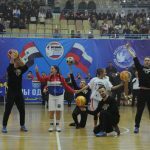 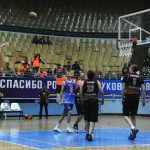 Damascus, SANA – A basketball festival titled “Russia, Syria, Basketball Unites Countries” was held on Saturday at the main courtyard al-Fayhaa sports complex in Damascus. 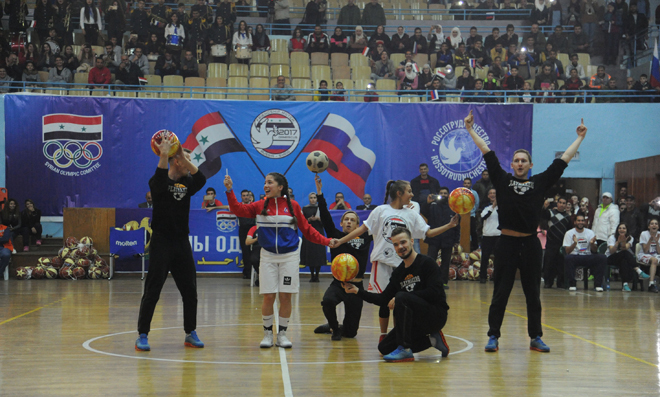 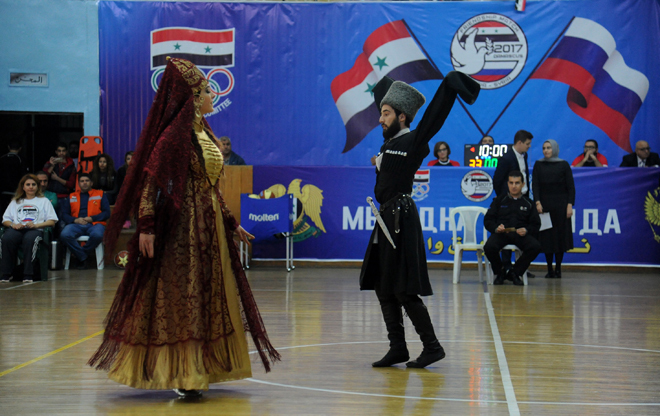 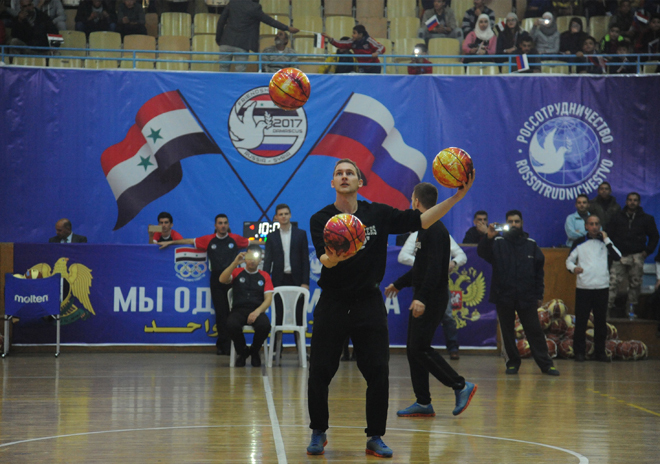 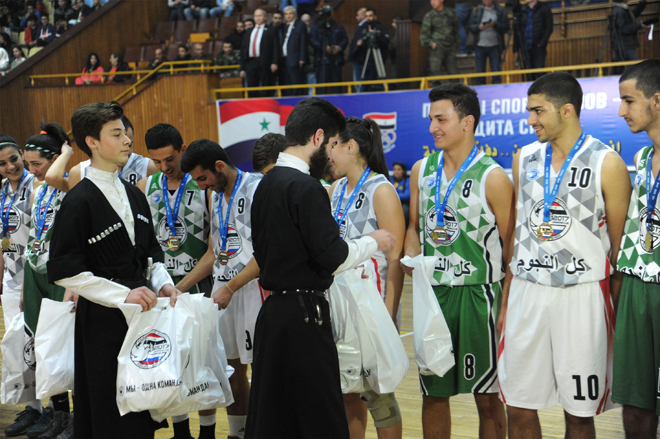 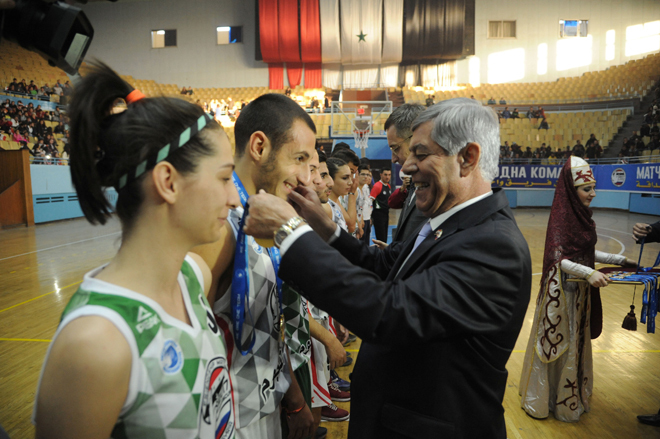 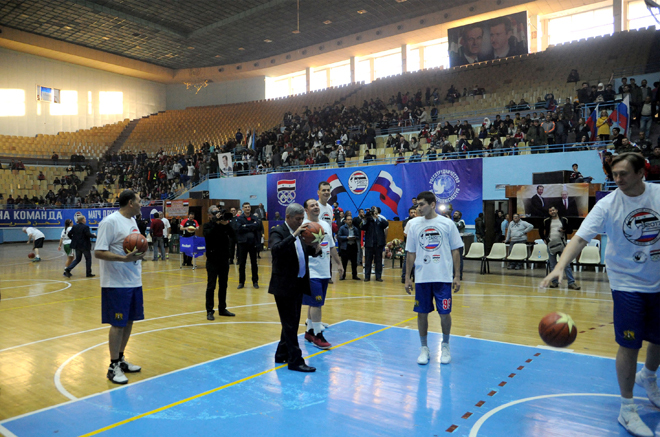 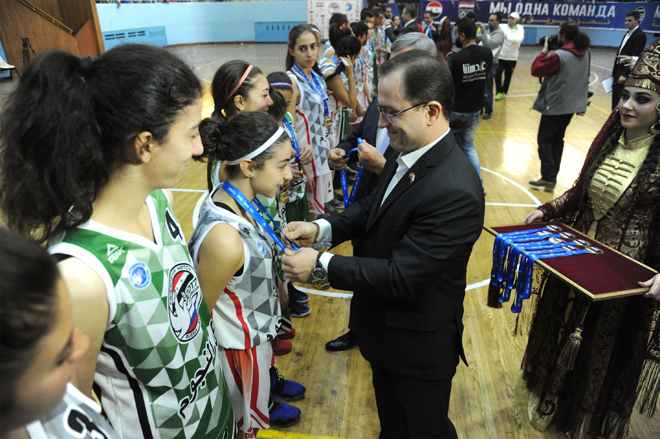 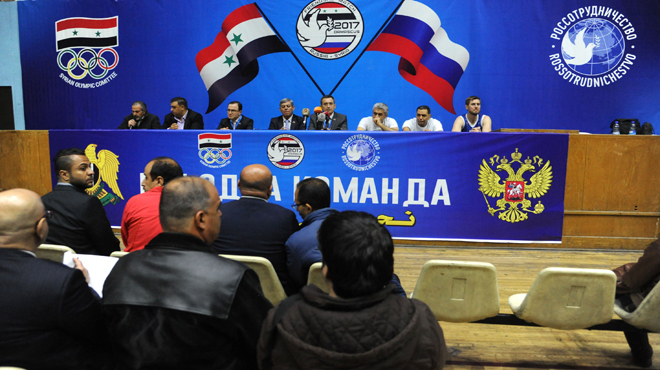 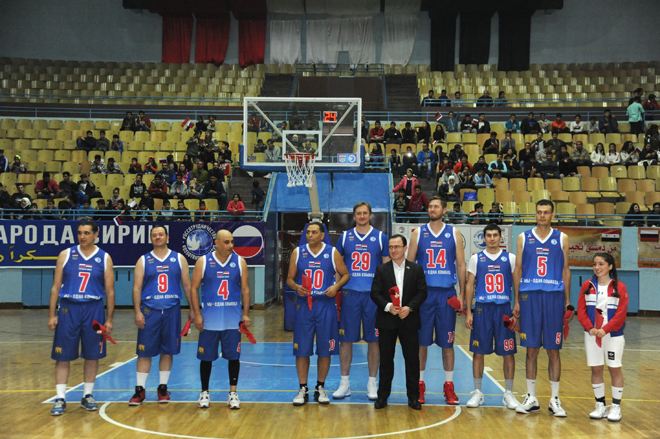 The event included an exhibition match between the veterans of the Syrian and Russian national basketball teams, ending in a draw at 44/44, in addition to a match between male and female junior athletes from Damascus, a performance by the Circassian Folk Troupe and basketball demonstrations by a Russian team. 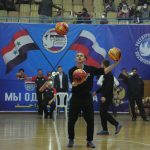 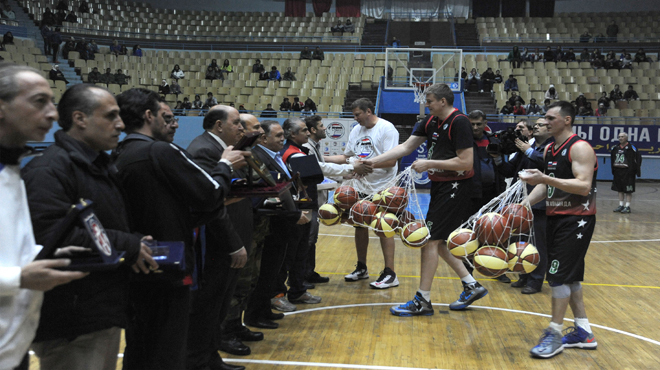 The Russian team presented a number of basketballs to the clubs in Damascus, Damascus Countryside, and Quneitra provicnes. 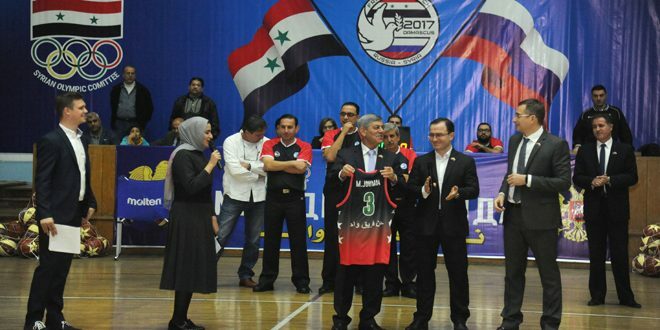 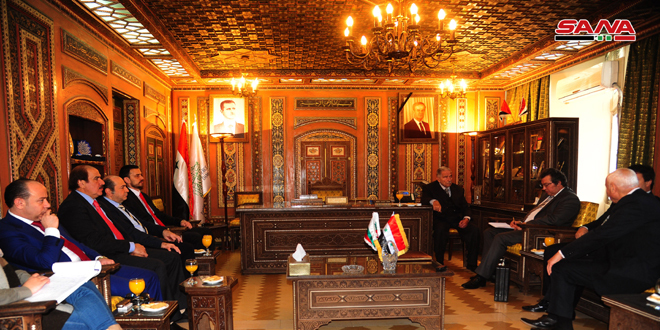 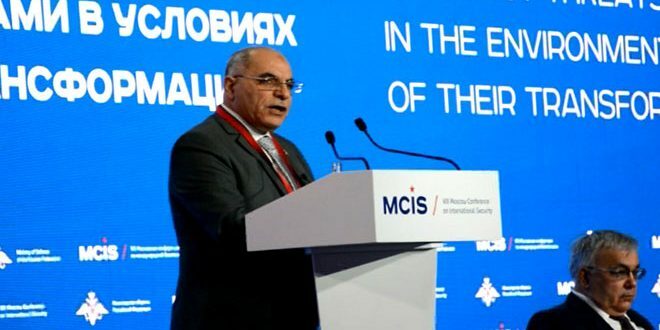 Minister Plenipotentiary at the Russian Embassy in Damascus Elbrus Kutrashev said that this event is a step towards developing sports relaitons between the two countries, and that it shows the unique level of relaitons between the two countries. 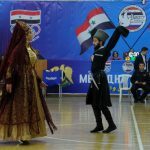 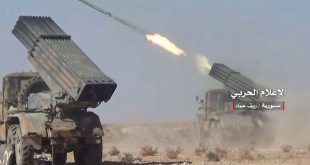 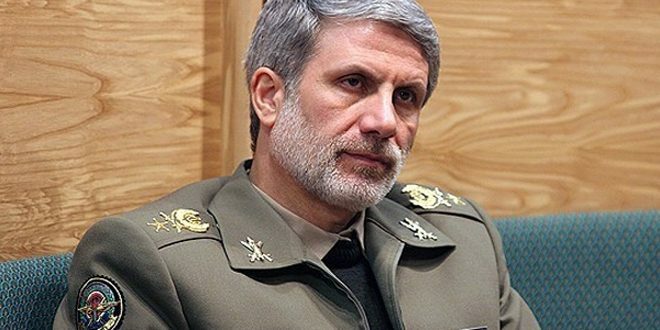 For his part, Chairman of the General Sports Federation Muaffaq Jumaa said that this festival will hopefully encourage other teams to come to Syria and take part in sports camps. 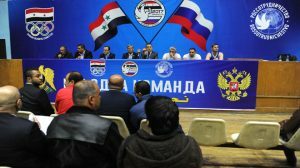 The Russian athletes participating in the event said they are happy to take part in the festival, adding that they’re proud of the warm welcome by the Syrian people, adding that they’re prepared to take part in similar events in Syria in the future.